Guest post by Craig Johnson. 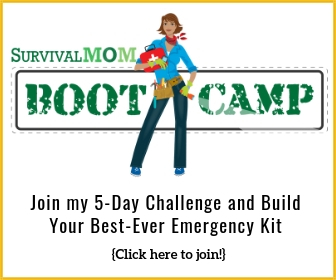 We all have had times when our power has gone out due to some natural or manmade disaster. If you have any sort of frozen food stored, you definitely want to prolong its freshness in addition to carrying on your life as normal as possible. So what do you do? Getting a generator is one of many options. Lots of people have them and they are great for short term disturbances in the power grid such as storms, fires, etc. Additionally, people might use them for recreational use such as camping or industrial uses on construction sites. For the purposes of this article we are going to focus on generators as backup power solutions, especially since it’s now fall followed by winter and more severe weather is coming up. Let’s talk about standard gas, diesel or propane generators (fossil fuels) first. These types of generators are the standard ones most people have had for years. The simple truth about them is that they change mechanical energy from the engine itself into electrical energy. The engines can be quite large and can power a majority if not all of a home for a reasonable cost. The main limiting factor is fuel. You can only store so much and when it’s gone, it’s gone! For that reason, a traditional generator is a great short term solution to power outages rather than something to rely on for long-term grid-down crises. In selecting a traditional generator there are several factors to consider. How many appliances do I want to run? How much combined power will they take? How much do I want to spend? How much fuel do I need to store? Where we live, we use central gas heat/electric air, city water and have a gas water heater so we would need a generator that produces 3000-5000 watts. If you have a well pump and/or larger furnace/cooling system, a 5000 to 6500 watt generator may be needed. Here’s a good cheat sheet I found at Home Depot to help you determine your family’s needs. 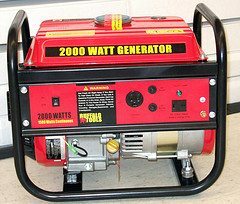 You can expect to drop $2000 – $5000 for a good quality generator and accessories. Of course the grand total is based on the brand you purchase, extra features and all that good stuff. You might be able to pick one up for less than that, but that will be based on your individual family needs. Also keep in mind like any combustion engine based equipment there will be maintenance involved such as oil changes, replacing worn parts, etc. Another consideration you may want to think about is noise. If you live in an area that has noise ordinances, consider dropping some extra dollars for a quieter running generator. Also, if there is imminent danger of civil unrest, you want something that runs more quietly to draw less attention to your home or property if SHTF happens. On a different note a newer alternative to fossil fuel generators is solar generators/inverters. These work a little differently but offer some advantages over the traditional generators. They are only dependent on sunlight so if you live in a sunny state, like us here in Texas, they could be ideal for you. These generators/inverters make no noise and are just as easy to setup as traditional generators, possibly even more so. Unfortunately, at this writing they are more expensive than the traditional generators, but the trade-off is silence, no running out of fuel, and since there is no output of dangerous exhaust you can run them inside your home or outbuilding with no issues. With more people switching to solar, the prices are going down at a decent pace. There are no mechanical parts, but the stored sun energy is usually captured in batteries either internal to the unit or external ones. Keep in mind a solar model might cost you a couple thousand more dollars than a comparable traditional generator. As a last thought you may want to consider running your appliances directly from your generator/ inverter or getting an electrician to install a switch into your existing home wiring. The switch might make it easier to change from the regular power grid to your own power. If you go this route, be sure to factor in an extra $500-$1000 for parts and labor for the install. A switch is not required, but if you have multiple outages a year, it might make life a little easier to go to backup power and makes the transition smoother and safer by shutting off the grid power to your home. In summary a generator can be a good choice for backup power, just in case you need it. They come in all flavors, sizes, shapes, fuel sources, and prices to fit your needs. Hopefully, by reading my article you have a better understanding of the basics and it can open your eyes to some more research. Happy Prepping! I have never owned a generator, but the issue that bothers me is the regular maintenance. Can you just start it after years in storage? 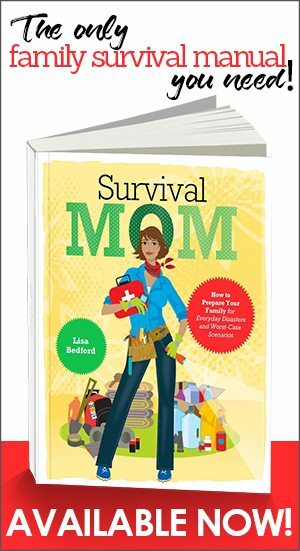 Manuals I have read recommend starting monthly. Additionally the carbon monoxide problem is always there. And finally there is the issue of someone stealing it. I read about deaths from carbon monoxide because the generator was operated in or near the home, most likely IMO due to fear of theft. Good questions! As with any engine or equipment there is some level of maintenance to keep it in tip top shape. Additionally, you always want to burn these where ventilation is not an issue for safety reasons. Lastly, there are ways to conceal the noise and location so that it doesn’t attract additional attention. Everyone checks the engine, but no one checks the turbine. My gen failed 6 days into Sandy. Engine ran great, no power coming out. When I took the cap off the rotor and brush housing, wires were corroded and the brushes and rotor were badly rusted and corroded. It took a few hours with a wire wheel to clean it up, and even then it only worked for another hour. Lesson learned. 2=1 and 1=none. What are the best ways to protect your generator from theft, while protecting family from carbon monoxide? There was a great deal of theft during a particular bad season when generators were sold out. Your point about noise is well taken, George. If SHTF, you might not want to advertize to the whole neighborhood that you have one. The other thing to consider is, can you run sensitive electronics on it? Can you power a laptop, a television, a radio on it? Although I live in a housing division, up here is considered cottage country, and anytime there’s a big storm you can be sure the power will go out for a few hours. And I run my business from home, so for me, having a generator is not just for natural disasters, but smaller ones too. Having a pure sine-wave generator that I can run my computers on for the time it takes for the power to be restored is a life-saver. Later on I plan on upgrading to a bigger model with enough wattage to run my whole house if I need to. To that end, the Yamaha line of generator run quiet and can handle sensitive loads. Take the time to figure out the gallons per hour consumed and the amt. of time to run each day. I can run from 8am to 12 noon and 6pm to 10 pm and keep the freezer rock solid and the refrig very cold. If the grid is down, go to sleep at 10pm and don’t bother the neighbors.Hint: place re-freezable ice around the milk at night. Also, remember that propane tanks only fill to 85% of capacity, so 500 gal. tank is only 425 gallons. Finally, to the maintenance question, it is programed to test run for 10 min. once a week, so you know its ready go..The noise question: get a water cooled unit, its quieter and is really a car engine hooked to a generator instead of a transmission, so check the oil, water, and battery just like your car. Like the day it was purchased. No need for Stabile! Propane does not produce any residues when burned, ergo the generator filters never have to be replaced and the plugs never foul. and it usually lasts well into the next season when prices are at their lowest. We use propane for heat, hot water, cooking and the dryer, and in a power outage our electricity. We also have a wood stove for our primary heat source in winter, and a wood cookstove as a backup for cooking. We also purchased a full size propane refrigerator which we can put in service in about 10 minutes if we lose power. 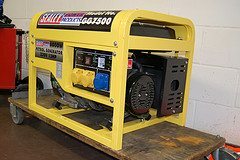 A generator should be purchased after you have your supplies necessary for food, water, shelter and protection. A generator is not a bad idea just shouldn’t be your top priority. Bob, great advice and this is exactly what we did when we, in MA, were without power for a week due to an early snowstorm in October last year. We also have that gennie hooked up to a transfer panel in the house so we can run what we need. While noise may be a problem it’s worth the risk if used judiciously. We need power to run our water pump as we have well water. I wish more people in MA would invest in one and not return them after the storms are over only to rush out and buy one again. This happens more often than not. We also have a back up generator if we need it or a neighbor does. Honda generators are great portable, quiet and good on fuel. The 2000 watt model is great for the temporary outages. At sea level i can run two fridges a freezer and and a few lights easily. Just remember to not plug everything in at once! Extra cords and splitters should be kept on hand! As a backup if you run out of fuel in an emergency situation you may want a micro solar set up. You can’t power as much with it but you can have lighting and a few other low current items. I’m just finishing 2 weeks of gen-only living thanks to Sandy. I have an 12+ yr old Coleman gas gen that I store dry and it has started 2nd pull every time. I probably use it 3-4 times a year when we have extended outages. One thing no one mentions in generator maintainance is looking at the generator turbine itself. My gen failed 6 days into Sandy. I took the endcap off exposing the brushes and rotor, and they were all rusted and pitted and corroded. Wires had rotted off at their terminals. It was a mess. Luckily, my hardware store was getting a truckload of gens the next day. I managed to clean it up and rig it for one more day. Going forward, I’ll start checking the turbine too. I’ve found some of the inexpensive generators like the Powerhorse arent bad. they are noisy but are simple engines that are easy to care for. My 9000 watt run just under 8 hours on 6 gallons of gas so not horrible. There are also LP fuel conversion kits that are easy to install to convert the generator for gasoline to LP/NG fuels. Maintenance is really like any other engine, change the oil, clean the air filters, etc. I also use a Solar panel generator from Goal Zero the 350 watt battery and solar panel is fantastic and I use it for camping as well as preparedness. it has USB ports, an inverter and can charge from the a regular 3 prong plug, the car or via the panel. It is even good enough to run a 90 watt laptop without a problem. I’ve found that with generators, you get what you pay for. Name brands are usually decent, but some of the “off-brand” generators are junk. Especially if the instructions have been translated into english BADLY. If you cannot afford a generator, or just want to run items that use a small amount of power– phone, portable dvd, tablet, breadmaker, griddle, etc., you can buy an inverter like this one http://www.amazon.com/gp/product/B001TE0IMG/ref=ox_sc_act_title_5?ie=UTF8&smid=ATVPDKIKX0DER and use your car as a generator by running an extension cord into the house. You can get a volt meter to check the charge in your car battery, or just idle for 30 minutes every so often. it really doesn’t use that much gas. I know someone who made it through Sandy that way, when everyone one else was out trying to find gas. problems, if he does not have to parts, he can’t. My whole house generator capability is fully understood, but I admit to solar power ignorance. 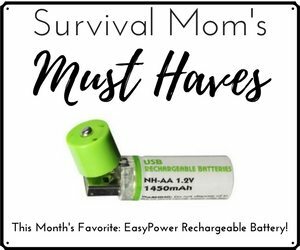 What do I need to power, run, and recharge daily, my security system in the event of a long term grid down situation? What will it take and cost to keep the 8 wireless cameras and monitors up and running all night? If any readers can suggest the solar power set up I need and the cost as well as where to go to get the equipment, it would be greatly appreciated. If we can maintain security over night, I believe we have the daylight hours covered. I have an Avion 30 foot trailer, fully self contained. I use two deep cell 6volt golf cart batteries, two 15gal. Propain tanks and an inverter for keeping the batteries charged. A full charged battery can last for several weeks without recharge, but connecting it to my truck I can charge it up in about 2 houres. The propain tanks, each last for 3 weeks for heat and cooking, also propain lights. So I not only have the comforts of home but heating a small area is nice and toasty. A small generater would be a great backup, so I’m investing in a small gen. So if you have a travel trailer, concider your options. Also I have a full size fridge with freezer for most of my parashabuls. If shtf I will be mobile and comfy. I like the idea of getting an inverter so that the switch to my grid would be easier. In a case of an emergency, speed can be major. I don’t think I would mind paying for the extra 500-1000$. You make a great point that generators are a backup power solution, especially in cases of severe weather. 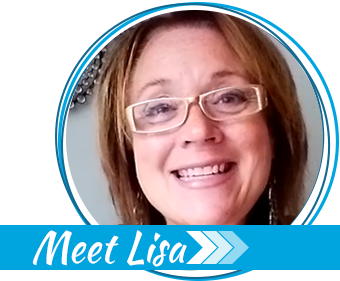 My husband and I are thinking of getting a generator and I had no idea that the engines can typically power the whole home for a reasonable cost. However, the main factor is fuel and my husband and I will make sure to store enough fuel and restock when we need to!